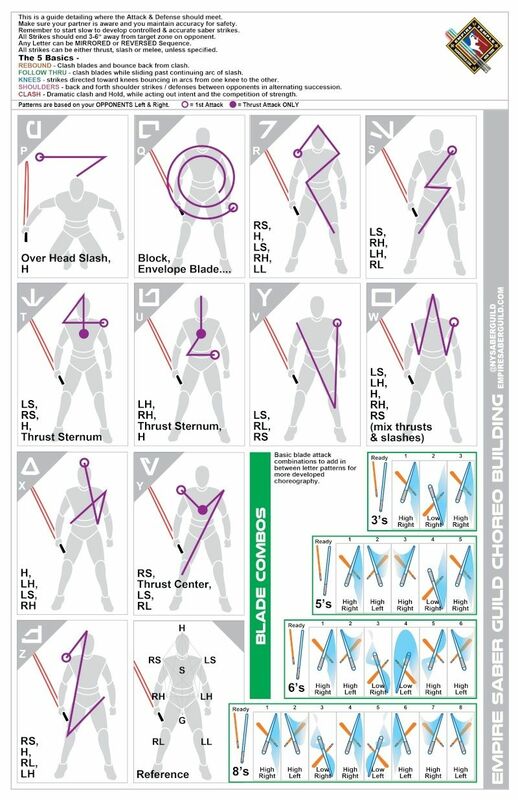 Are these official movements that all guild members are to know when choreographing stunt shows? Not as far as I am aware. I've been using them to come up with the core concept of some of my scenes and having more people familiar with these allows for quick communication and choreography. We had a class on these not too long ago and seeing some of the people sticking with it has been pretty awesome. 8's are pretty standard and good to know, the rest is good for those of us, such as myself, that are not "sword masters"
I am currently studying under a martial artist that teaches Rising Phoenix style of Kung Fu modified by the instructor for light-saber training. We have developed Velocities that are "Light Side" and "Dark Side" so we can each know them and perform them from either "side." This way, we can put together choreography that we all will be familiar with. 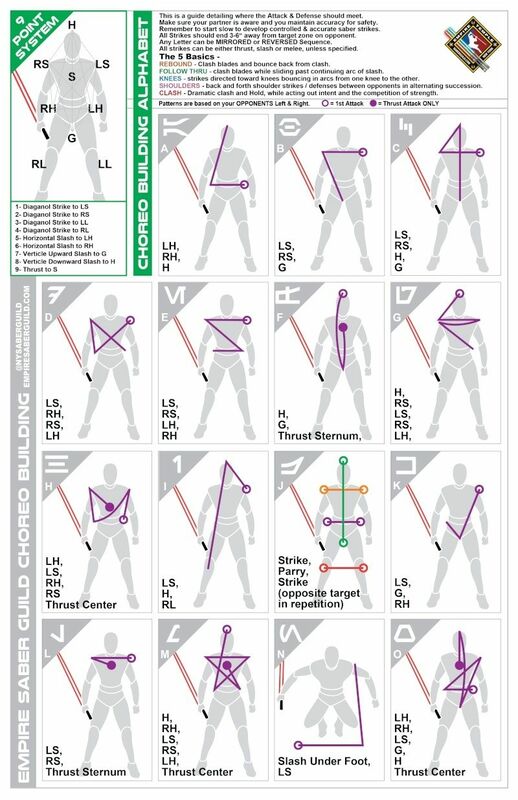 Nice chart, sure helps new folks I imagine for those who don't have Temples with a few martial and theatre styled instructors. Hello, I'm a new member and am studying all I can on choreography. It's a little hard since there's no temple or squad established yet where I live. I was wondering if someone could help me figure out this letter system. My main question would be, how to follow the line patterns? Thank youh for any help.